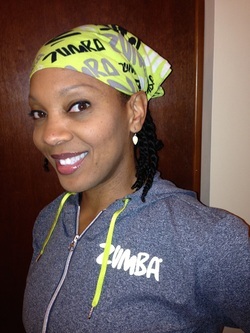 Click here to view my profile on zumba.com. Zumba Basic Steps Level 1 - Instructors learn the foundation and formula to teach basic Zumba® classes. Zumba Basic Steps Level 2 - Instructors learn additional rhythms (bellydance, flamenco, tango and samba) to incorporate into their Zumba® classes. Zumba Toning - Blends body-sculpting techniques and specific Zumba moves into one calorie-burning, strength-training class using weighted, maraca-like Zumba Toning Sticks to build strength and tone all the target zones. Zumba Gold - Targets the largest growing segment of the population: baby boomers. It takes the Zumba formula and modifies the moves and pacing to suit the needs of the active older participant, as well as those just starting their journey to a fit and healthy lifestyle. Active older adults want camaraderie, excitement and fitness as a regular part of their weekly schedule. Zumba Gold is the perfect fit. Zumba Instructor Network - An extensive continuing education program available to all participating Zumba Instructors. ZIN Members regularly receive new choreography and music to change and update their routines, along with a wealth of marketing materials and ideas to help ensure lifelong success.